This event "Twerk and Booty Shake Contest" @ Bohannon Soulclub has already ended on 11/21/2015. 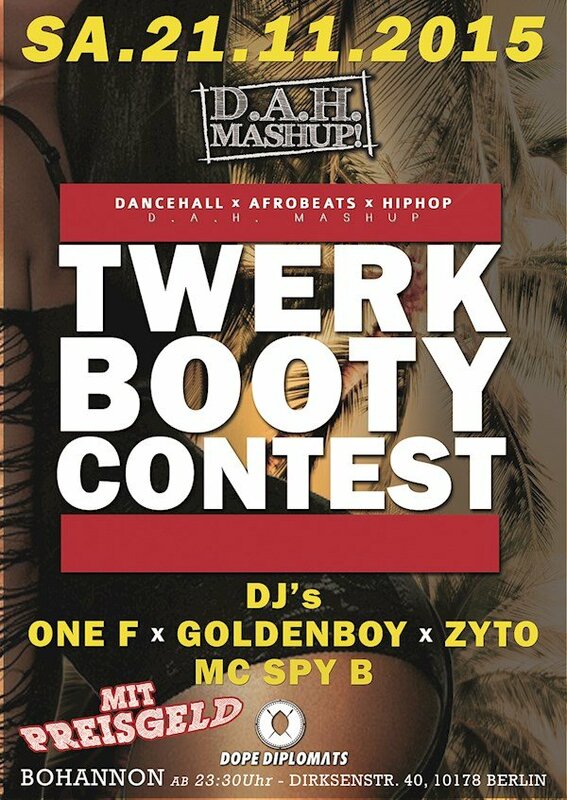 Dancehall x Afrobeats x Hiphop in one pot and all night long just for you! We are gonna make the DJ's work it, because we run things and things no run we... From tracks like put the duppy pon yuh from Demarco, me mek yuh feel sure from Vybz Kartel or even cant do we shhhh by Busy Signal, the dancefloor is surely gonna be bumping and grinding.